SAVE THE DATE: The Kindness of Strangers Irish book launch will take place on Thursday 25 of October @ 8.00pm at the Patagonia Outlet Store in Dublin. A new adventure book has hit the shelves and it makes for a simply beautiful read. The Kindness of Strangers is one of those books that will restore your faith in humanity and make you smile. After reading it, for a few blissful moments, you may consider the thought that the world might not be quite as scary as it seems. Filled with “travel stories that make your heart grow,” The Kindness of Strangers book features a collection of stories by travellers and adventurous souls like Ed Stafford, Sarah Outen, Leon McCarron and Al Humphreys. All who have ventured out into the big bad world and explored everywhere from their own backyards to those ‘dangerous places’ that flash across your screen on the News every night. Each of these people has a story to tell of a time when they were vulnerable, when they were in need and a kind stranger came to their rescue. 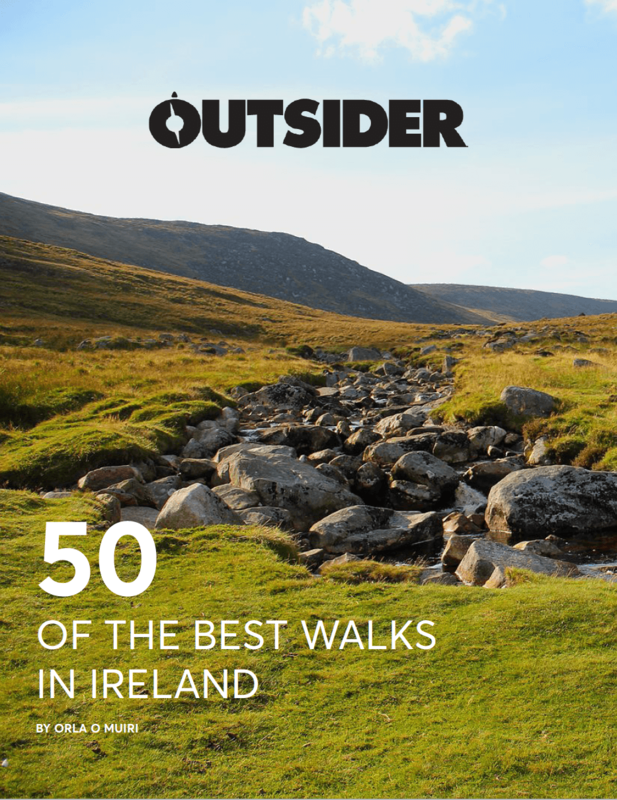 The Irish book launch will feature guest speakers (who share their stories in the book), including Irish surfer and activist Easkey Britton, Adventurer Breifne Earley and the editor/explorer himself Fearghal O’Nuallain. All proceeds from the book and the launch night goes towards Oxfam’s Refugee Appeal. So, clear your schedule and we’ll see you there for what promises to be a night of adventure and inspiration. 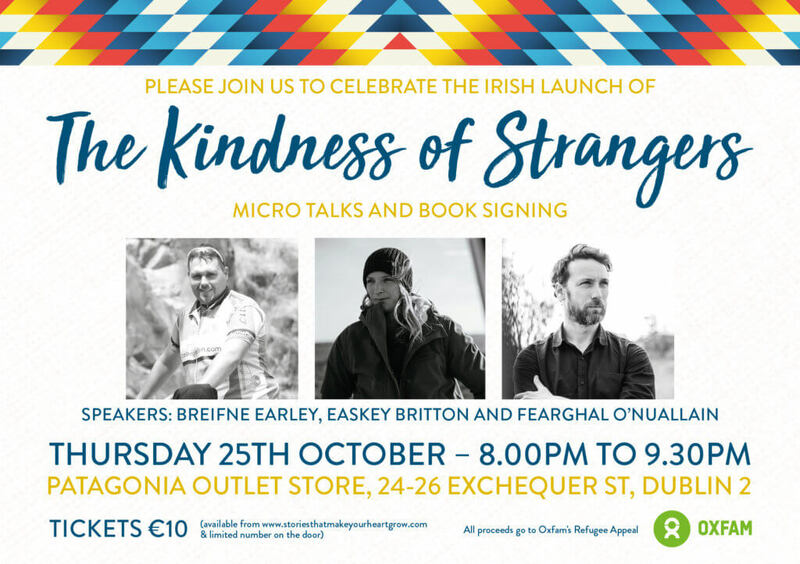 The Irish book launch for The Kindness of Strangers takes place on Thursday 25 of October @ 8.00pm-9.30pm at the Patagonia Outlet Store, 24-26 Exchequer St, Dublin 2. Tickets are just €10 and you can purchase them here. Have you listened to our awesome podcast yet?